HomeBusinessHow can M&S get back in fashion? May 22, 2018 Paul Business Comments Off on How can M&S get back in fashion? That stalwart of the high street, Marks and Spencer, has announced that 100 stores will close by 2022. Falling sales – and the shift to online shopping – has made it harder to justify keeping them all open. So what can M&S do to avoid further closures and entice more people back into its stores? We asked shoppers, a retail analyst and a fashion blogger for their advice. “What do I like [about M&S]? That’s a tricky one,” says Bayley Freer. She went in to look for shoes because she thinks M&S does “sometimes have stuff that can be quite cool from a design perspective”. Alas, nothing caught her eye. Bayley often shops at M&S for food – but not often for fashion. Sometimes it’s the fabric quality, sometimes the colours are “off-kilter”, and sometimes they’ve “put odd detailing on” when they should have stuck to a more simple design. Jeremy Schwartz has worked at Coca Cola, News International, L’Oreal and Sainsbury’s. Until late last year he was chief executive of the Body Shop – another brand that has struggled but has now returned to growth. So what would he recommend for M&S? “Big, heritage brands just look dated, slow and lack an image of innovation,” he says. Customers are looking for both authenticity and modernity, unbelievable value but also luxury, he says. Choose one particular product category and really go to town, Jeremy suggests, creating a “palace of couture” – but also offer value basics, such as “50p underwear that you can’t help telling your friends about”. “The alternative is slow, or even accelerating decline,” he warns. M&S does have an extremely loyal customer base, but even they are calling for changes, says Kate Hardcastle, founder of retail consultancy Insight with Passion. She says for years customers have been telling the retailer to re-engineer the basics such as underwear, T-shirts and suits. Kate also thinks they could learn from the success of the £10 meal deal and their beauty advent calendar, which stood for “luxury at an affordable price”. Why not offer more promotions in homeware and fashion? And as for fashion? “They were so tone-deaf with their customers that their tie-ups with celebrities like Alexa Chung have been off-key,” she says. Alexa Chung’s suede skirt was a bit hit at the time, but Kate doesn’t think the campaign worked in the long run. Stephanie Roper was a graduate manager for M&S after leaving university 15 years ago. But its intolerance of creativity prompted her to leave after 12 months to join H&M. “John Lewis, Topshop, Debenhams, all offer personal styling, providing one to one advice on putting outfits together. 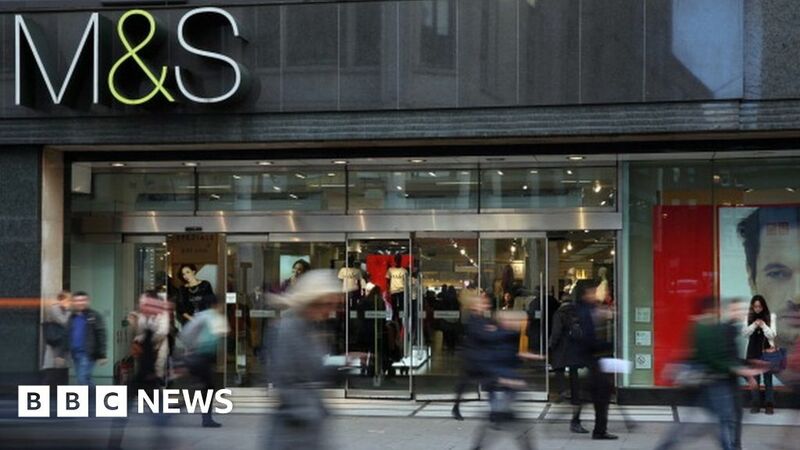 M&S is missing a trick if they don’t start implementing that right now,” she says. Stephanie suggests M&S could offer a classic collection including the perfect jeans, white shirt, cashmere jumper and trench coat in a limited range of classic colours – and add a piece every season from the archive. Janet, Pamela and Alexis from the US go to M&S every time they visit the UK. There doesn’t seem to be anything they’d change about the brand. “Any time we come, we always come to Marks and Spencer, every time we visit,” says Janet. “It’s got a variety of things – the foodstuff, the clothing line, everything is alright,” says Pamela. Alexis agrees: “The quality of the clothing is good, the quality of the food is good, and the prices are right.